﻿WED 3/30 (11:15PM) — We’re down to our Final Three. Pretty straightforward here. Please keep in mind, we have our annual LA Showcase tournament on Apr 16-17. We may implement the champion of this division from Dream League to face an equivalent champion from PacRimSports for that weekend. Not sure yet, though. 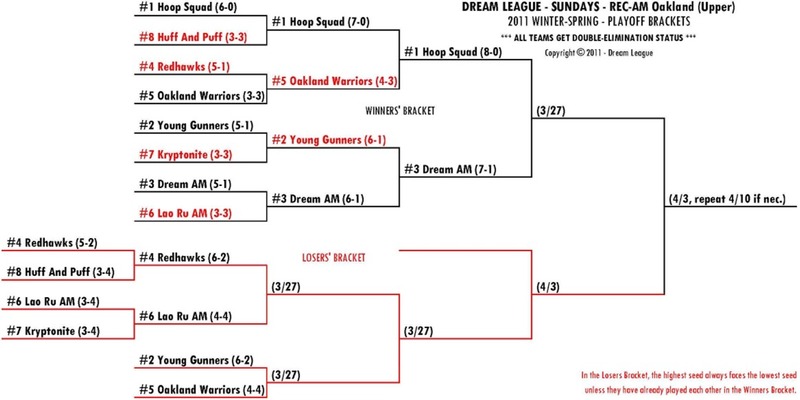 If Hoop Squad loses this Sun 4/3, we’ll come back and repeat the championship game next Sun 4/10. 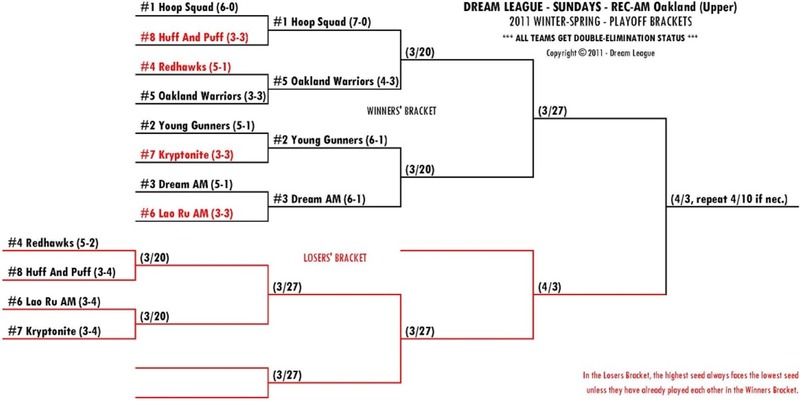 WED 3/16 (1:45PM) — Here’s the playoff brackets for this Sun 3/20. The dates are also included so you can see the plan for the remainder of the playoffs. You can see that the Losers’ Bracket (LB) features high-seed vs low-seed and it could very well change shape a little depending on the matchups, but bottom line is, 3/27 will have a “mini-final-four” (doubleheader for survivors) in the LB.